Learn why the Montessori kindergarten year—the third and final year of the Montessori Early Childhood cycle—is a foundation for life. "Montessori Kindergarten: Empowering & Essential"
Every year hundreds of thousands of Montessori parents whose children are about to move up to kindergarten face a common dilemma: Do they allow their child to remain in a Montessori environment or do they transfer their children to a more traditional kindergarten program. Although there are plenty of issues that factor into this important decision, most Montessori administrators, educators, and parents will agree that perhaps the most compelling factor for most parents has to do with basic economics. Simply put, their child can attend a local public school kindergarten program free. Although each family must make this decision on their own, we offer a number of thoughts which should be considered before transferring a child in the kindergarten year. 1) Does your child love school and can't wait to go every day? If so, consider yourself lucky. Why tinker with a winning school situation when so many families are frustrated and disappointed? 2) Your child has waited for two years to be one of the five year old leaders of her class. The kindergartners are looked up to as role models for the younger students, and most children eagerly await their opportunity to play this role. 3) The third year, the kindergarten year, is the time when many of the earlier lessons come together and become permanent part of the young child’s understanding. An excellent example is the early introduction to addition with large numbers through the Bank Game. When children leave Montessori at age five, many of the still forming concepts evaporate, just as a child living overseas will learn to speak two languages, but may quickly lose the second language if his family moves back home. 4) As a five year old, your child has many opportunities to teach the younger children lessons that he learned when he was their age. Research proves that this experience has powerful benefits for both tutor and tutee. 5) As five year olds, Montessori children normally go on to still more fascinating lessons and more advanced Montessori materials, such as the Stamp game. 6) The Primary Montessori curriculum is much more sophisticated than that found in most kindergartens. 7) Having spent two years together, your child’s teachers know her very, very well. They know her strengths and areas that are presenting challenges. 8) Your child already knows most of her classmates. She has grown up in a safe, supportive classroom setting. 9) If your child goes on to another school, he will spend the first half of the year just getting used to the new educational approach. 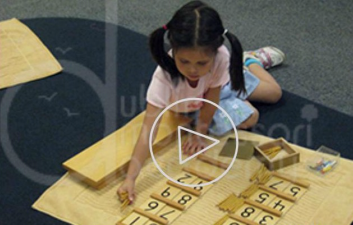 10) Montessori math is based on the European tradition of unified mathematics. 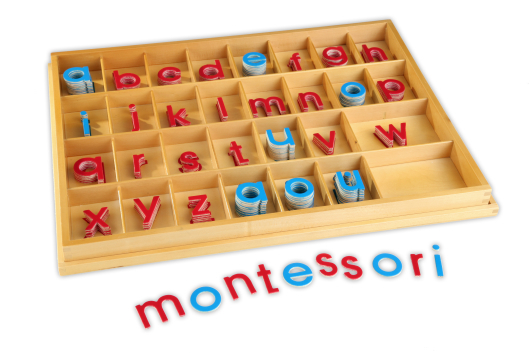 Montessori introduces young children to basic geometry and other sophisticated concepts as early as kindergarten. 11) In many Montessori schools, five year olds are beginning to read the Junior Great Books; kindergartners in other schools may be learning to recognize letters and numbers. 12) Five year olds have a real sense of running their classroom community. 13) In Montessori, your child can continue to progress at her own pace. In traditional kindergarten, she will have to wait while the other children begin to catch up. 14) Even in kindergarten, Montessori children are studying cultural geography and beginning to grow into global citizens. 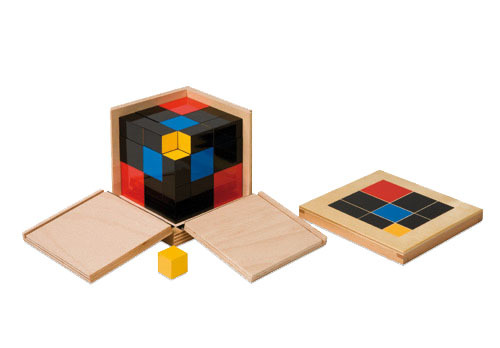 15) In Montessori, five year olds work with intriguing learning materials, like the Trinomial Cube instead of coloring books and insipid basal readers. 16) With the Land and Water Forms, he'll learn about lakes, islands, isthmuses, straits, capes, archipelagos, peninsulas, and other geological forms, rather than circles, squares, and rectangles. 17) In art, she’ll learn about Picasso and Renoir, rather than learn her basic colors. 18) In Montessori, your child has been treated with a deep respect as a unique individual. The school has been equally concerned for his intellectual, social, and emotional development. Unfortunately, despite lip service to the contrary this is often not the case in traditional classrooms. 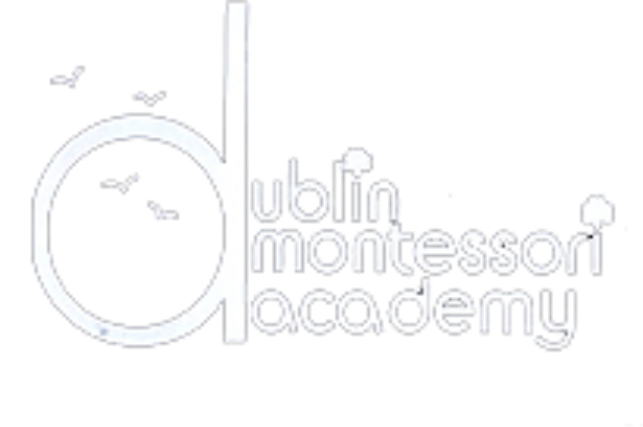 19) Montessori schools are warm and supportive communities of students, teachers, and parents. Children can’t easily slip through the cracks! 20) Montessori consciously teaches children to be kind and peaceful. 21) In Montessori schools, learning is not focused on rote drill and memorization. Our goal is to develop students who really understand their schoolwork. 22) Montessori students learn through hands-on experience, investigation, and research. They become actively engaged in their studies, rather than passively waiting to be spoon-fed. 23) Montessori is consciously designed to recognize and address different learning styles, helping students learn to study most effectively. 24) Montessori challenges and set high expectations for all students not only a special few. 25) Montessori students develop self-discipline and an internal sense of purpose and motivation. If you still have any doubt, spend a morning observing in your child’s class and compare it with a morning in a kindergarten class in the other school you are considering. Sit quietly and take mental notes. The differences may be subtle, but most likely they will be significant. Then project your child into the future and ask yourself how the positive differences you observed in the Montessori classroom might help shape your child to become the teenager, and later the adult, you envisioned for your child’s future. Reprinted, with permission, from Tomorrow’s Child Copyright by The Montessori Foundation. All rights reserved.